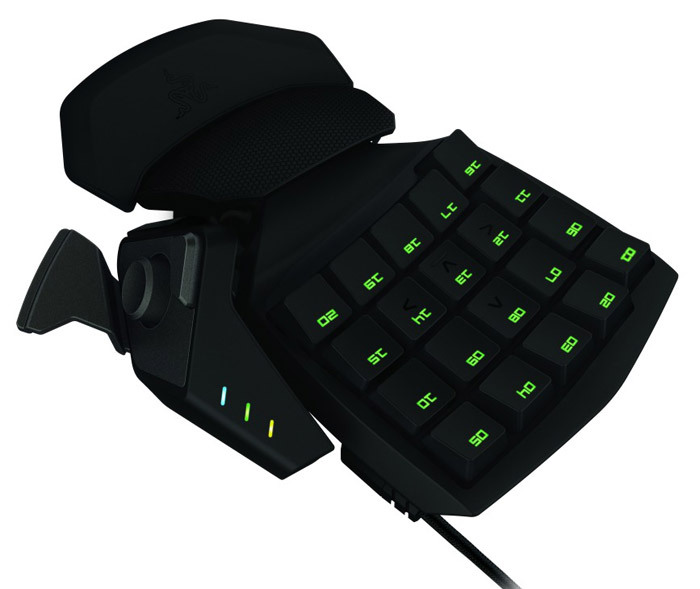 US gaming peripherals maker Razer has launched the Orbweaver – a new gaming keypad that comes to market to replace the current Nostromo generation. The Orbweaver is a fully mechanical and customizable gaming keypad that offers tournament-grade controls, ergonomics and customization. The entire device measures 154 x 214 x 55 mm and weighs 300 grams offering gamers an infinite number of controls for up to 20 mechanical keys and a programmable eight-way directional thumb-pad. Another great feature is that gamers will need just 50g of force to trigger each key, which ensures very fast execution of commands for the needed edge over opponents. The thumb-pad can be used for movement or as a modifier for endless combinations. Armed with the Razer Orbweaver, gamers will be able to rapidly fire a vast number of spells, macros and abilities at their helpless foes, and they’ll be able to do so with hyper-responsive speed and efficiency. The new Razer Orbweaver is available now online for USD 129.99 with worldwide availability expected in Q1 2013.